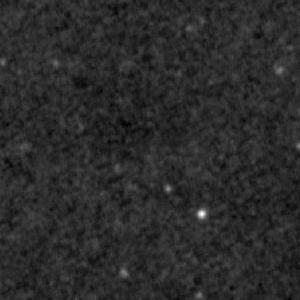 Just to see the incredible improvement WISE makes over the IRAS data here are two images of the same region (0.2×0.2 degrees at RA=2h 40m, Dec=20). 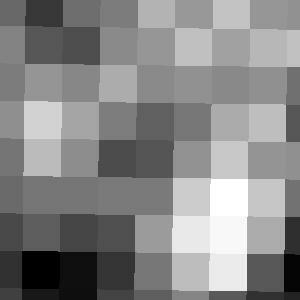 The IRAS image (from the IRIS 12 micron survey) is very pixelated… There’s almost nothing there. The WISE 12 micron data shows vastly more detail. Even in this boring region dozens of objects are clearly detected. Note that the WISE surveys have been set to use the loglog scaling by default. Many features will not show up using the log scaling that is the default for most surveys. This entry was posted in Discussion and tagged IRAS, IRIS, Scaling, WISE. Bookmark the permalink. In this regard, WISE is better than IRAS Thank you for the information.